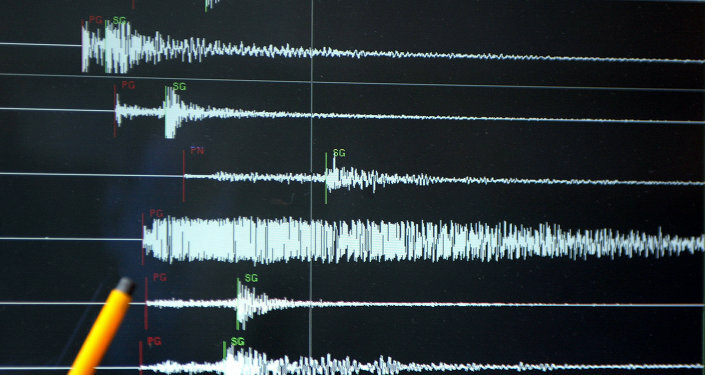 A US Geological Survey (USGS) published this month reveals that California Bay Area residents are living on a “tectonic time bomb,” also known as the Hayward Fault. In fact, researchers claim that the Hayward Fault, which runs about 74 miles along the bottom of the East Bay Hills, is far more dangerous than the better-known San Andreas Fault, the continental transform fault extending around 750 miles through California that was behind one of the worst earthquakes in US history, the 1906 San Francisco quake that killed around 3,000 people. "The USGS and its partners have worked together to anticipate the impacts of a hypothetical [magnitude] 7.0 earthquake on the Hayward Fault, before it happens, so that people can use the latest science in their efforts to become even better prepared," said Ken Hudnut, USGS science adviser for risk reduction and one of the lead authors of the "HayWired Earthquake Scenario" report published by USGS this month. According to the report, at least 800 people could be killed and 18,000 injured in a hypothetical magnitude 7.0 earthquake on the Hayward fault centered below Oakland. In addition, fires triggered by damage from the main shock could burn down 52,000 single-family homes. More than 2,500 people may need to be rescued from collapsed buildings while more than 22,000 people might require rescue from stalled elevators. Water distribution systems in the bay region could also be impacted. The report predicts that East Bay residents would lose water service for at least six weeks; others may lose water service for as long as six months. The lack of normal water service would also prevent the efficient suppression of fires — that's a huge risk, considering 90 percent of the damage in San Francisco caused by the 1906 quake was from fires it started and not from the shaking ground itself. "This fault is what we sort of call a tectonic time bomb," USGS earthquake geologist emeritus David Schwartz said, the Los Angeles Times reported. "It's just waiting to go off," he added. In fact, according to Schwartz, the Hayward fault is especially dangerous "because of the density of the population directly on or astride it, which would include San Francisco, and the amount of infrastructure that crosses it." The fault runs through heavily populated areas including Richmond, El Cerrito, Berkeley, Oakland, San Leandro, Hayward, Union City, Fremont and San Jose. Awareness of the potential danger of an earthquake along the fault has grown over recent years, thanks to the efforts of officials. "The Hayward Fault runs beneath the foundations of more than 300 buildings and other structures. One such building, the University of California Berkeley's Memorial Stadium, is nearly bisected by the fault and has been retrofitted to withstand shaking and fault offset," the report states. UGGS researchers also revealed that California's minimum building codes are not sufficient to guarantee safety in the event of an earthquake across the Hayward Fault. The buildings are currently only required to be strong enough to allow people to safely evacuate them after a quake. Even if all 2 million structures in the greater San Francisco Bay area were renovated to comply with safer building codes, a "Haywired" scenario earthquake would still completely collapse an estimated 8,000 buildings. Nearly 100,000 buildings would be red-tagged, which means that they would be unsafe to enter due to quake damage, while 390,000 would be yellow-tagged and have occupancy limits imposed on them due to structure damage. The potential scenario could also result in at least $82 billion in property damage. The Hayward Fault typically produces a big earthquake about once every 150 to 160 years. The last major earthquake on the fault happened about 150 years ago on October 21, 1968. That quake had a magnitude of 6.8 and killed five people and injured 30 others. It also caused about $350,000 in property damage in San Francisco alone. "Even given the uncertainties, we are definitely closer to the next one than we are away from it," Schwartz noted.